A new open source code editor for Object Pascal called Trolledge was released during CodeRage X. 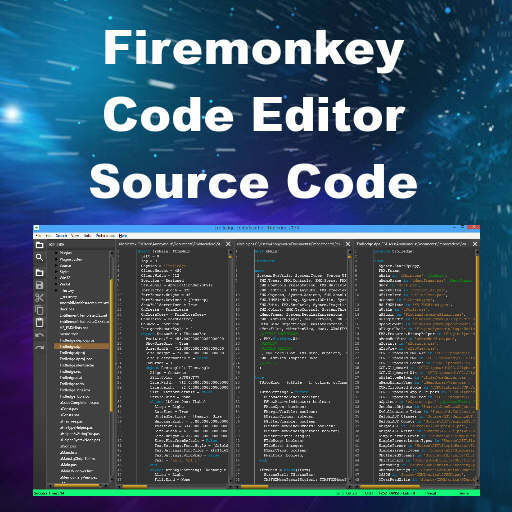 The code editor is built with the Firemonkey framework and there are binaries available for Windows and Mac OSX. The source code is available through Github. When building mobile applications for Android and IOS you will be using both Windows and Mac. Use Trolledge to browse and edit your mobile Delphi, XCode, and Android Studio projects on both platforms. Easily browse through a myriad of file types from different platforms and IDEs. Rapidly browse and search deeply within your mobile project directories. Open multiple project files side by side to compliment your favorite IDE and accelerate mobile development. It has syntax highlighting and code completion. It utilizes third party libraries such as TMS Pack for Firemonkey, paxCompiler, DuckDuckDelphi, CCR.Clipboard, HS_FMXHints, Delphi AST, JsonDataObjects, OXml, and SvCollections.Tries. You should be able to compile the source code with Delphi 10 Seattle and probably Appmethod as well for Windows and Mac OSX. Head over and download the multi platform code editor called Trolledge for Object Pascal before checking out the source code.